Life can be so serious for us as parents. While receiving the invaluable gift of taking care of another little person is beautiful, fulfilling and eye opening beyond compare, the weight of how mistakes can create life altering consequences, is real. Amidst an emergency, did you bring your child to a hospital that is out of network? Oops! You spend three years instead of one year; paying thousands more then you would’ve paid had it been in network. That fun Disney vacation you were saving up for is put on the back burner as a result. As parents I’m sure we have all experienced moments similar to this. The stress of doing our best for our children can pile up over time unless; we do our part to take care of ourselves. Did you know that art is an amazing way to undo the unique kind of accrued stress we as parents tend to have from always having to “do it right”. I’ve spoken to parents who have deemed themselves as simply “not creative enough” to explore art. It’s something only their kids do at school under “expert” supervision. As parents we can habitually be more cautious and hesitant when approaching art since by its very nature we are invited to go outside the lines. This on top of the fact that in our expert-glorifying society, it can be easy to deem it something best done by real artists that have received a degree in it or are paid for it. 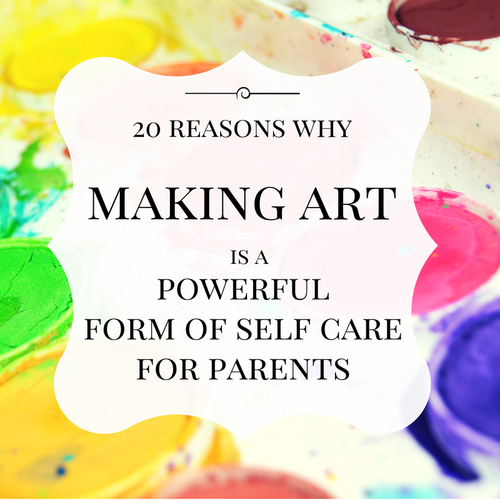 In today’s post I invite you as a parent to explore art making as a valuable practice for self-care and will share 20 reasons why I think it’s among the most restorative forms of self-care. To create something new that didn’t exist before can be unfamiliar and even uncomfortable. 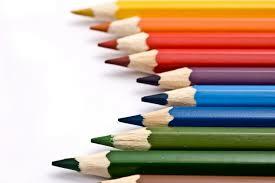 We can be convinced that we are simply not creative. Creating things though, I have discovered, can be among the most restorative of self-care practices there is. Somehow the more I learn to play and accept whatever appears on the page, the more I’m able to play and accept whatever happens in my life. Here are 20 reasons why I think making art is a high caliber form of restorative self-care. Art that has us work with our hands synchronizes our body with our heart and mind. It can be a form of venting pent up emotions that you haven’t yet been able to verbalize. It being the middle of summer, we parents have a great opportunity to create new things with our children. I invite you to include creating art as a form of self-care for you and your family with these 5 ways. Try any of these 45 quick and easy art ideas you can do with your child. Buy an adult coloring book and spend a few minutes a day filling it in. Here are sweet mini books you can get for $4. Download and print out 4 free mandalas from the link below that I made for you from a great site called colormandala.com. There are endless ways to weave the magic of art into our lives; in what ways have you explored your artistic side? What is your relationship to art? Thanks for writing. Yes you can share the post. Please make sure that the author’s name or link back to family1st.io is included.